When it comes to networking, an efficient LinkedIn profile plays an important role as much as attending the events. Read on if you need more guidance! 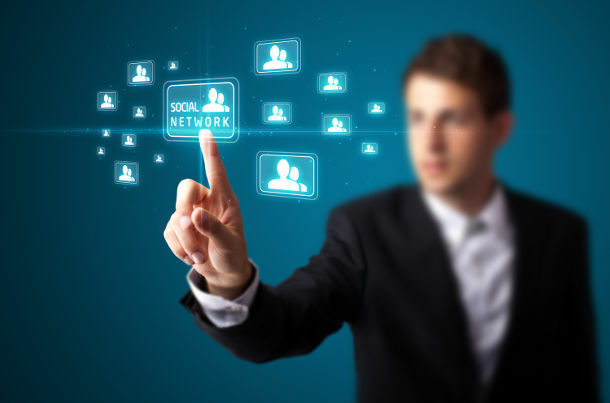 Whether you like it or not, growing your network has always been an advantage to pursue a professional career. But today, it is far more important to have an online network, too. If you like to catch up with today, having complete profiles on each popular social networks, especially on LinkedIn. Targeting only the professionals, it can be said that LinkedIn has led many conveniences in the professional world. While other social networks like Facebook let you show your unprofessional or more intimate face to the colleagues for example, LinkedIn gives you the chance to introduce yourself as a professional while letting you reflect your own style on the other hand. So, LinkedIn has become indispensable for the professionals especially in the last few years. This being the case, having a complete LinkedIn profile is vital if you want to secure your position in your career or even move forward. Maybe you have neglected it until now although you read many things about the importance of having an efficient LinkedIn profile. But it’s high time you make your move and log in to your LinkedIn profile to broaden your professional network. Let’s start to enhance your LinkedIn profile step by step. Yes, the first action that you should take is to turn off your activity broadcast temporarily. Because with your every little change, your network will be notified if you skip this step. In order not to seem like a noob, you should start with this step. However when you try to enter your old details, for example your previous job experiences, people may think that you started that job recently. To turn off your activity broadcast, go to Settings > Privacy Controls > Turn on/off your activity broadcasts. A perfect profile picture on LinkedIn is not the one that you look your best, or you look your happiest. It should be the one that you look your most professional. However, you needn’t seem boring while seeming professional. A photo that shows you well will be enough. For a perfect example you can have a look at the eCommerce Professional Stefan Jorgensen’s profile on LinkedIn. The headline part of the LinkedIn page gives you a great opportunity to make an instant impression to your profile viewers. However, if you use this opportunity by giving only your job title, you’ll waste it. Or, if you try to add all of your skills to your headline, you’ll seem confusing. Using this section more efficiently is in your hands. But how? You can get the answer from Pete Leibman’s article on LinkedIn. Undoubtedly the most crucial part of your LinkedIn profile is the summary. Because people can learn more about yourself and get a first impression about your profession, your skills and you, generally. Summary part will also make your profile visible in the search results. And LinkedIn offers its premium users a keyword optimization tool for the summary section. If you are not a premium user, there’s nothing to be desperate. You can still look for the best keywords for your sector and write you summary using these keywords. The other points that you should pay more attention are being updated and using all the 2000 characters that LinkedIn lets you. You can tell your success stories or tell about your skills. However, your accomplishments that were years before will not actually cause a stir. For example take a look at William Arruda’s LinkedIn profile. You’re impressed, right? Another thing that will make you look more professional is your LinkedIn profile URL. By default, your profile URL will consist of alphanumerical characters. But if you go to Settings > Edit Public Profile > Customize Your Public Profile URL and pick yourself a cool profile URL like your name and surname together. LinkedIn also gives you a chance to show off your personal side. So using this chance effectively would be wise. What you do at the office is known. Well what do you do out of the office hours? You can make your connections get a sense of what kind of a person you are. 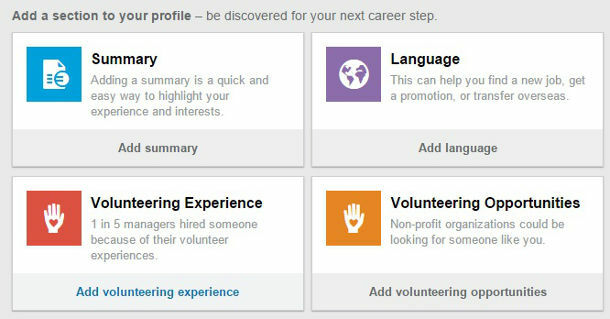 You can update your volunteer info by going Edit Profile > Volunteering Experience. You may be following some of the opinion leaders in your sector but do you really follow them? Or you just hit the follow button and forgot about them completely? By following the opinion leaders you can use LinkedIn as a medium for self-development. Their post will show up on your homepage and you can read their ideas and latest posts. Groups feature in LinkedIn allows you to find other people in your field and share your ideas with them. On the other hand, they give you the chance of networking of course. You can search for a group to join or browse through the groups that LinkedIn suggests. If you think your LinkedIn profile is not viewed enough, you can try adding your LinkedIn profile to your e-mail signature so that you can inform everyone you send a mail to about your LinkedIn profile. 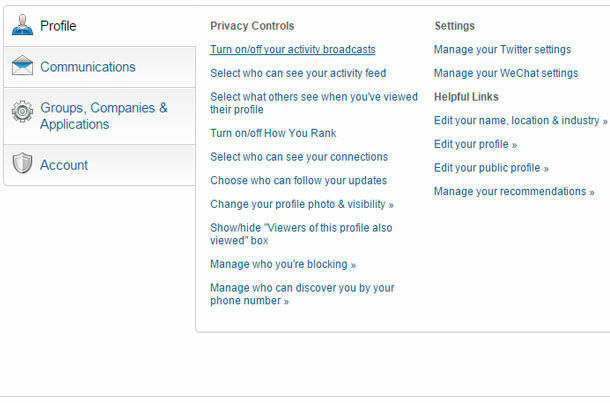 By this way you can increase the exposure to your profile and receive even more connections.